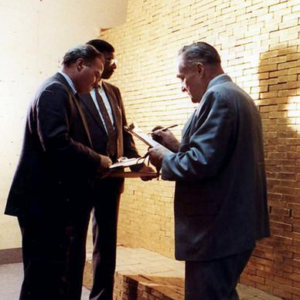 1987 Chinese Gold Panda produced by the Chinese state. 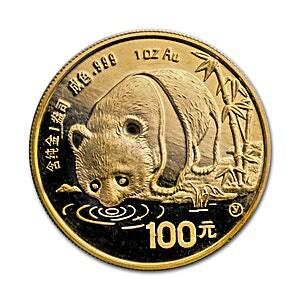 The reverse of the Gold Panda depicts a panda drinking from a river against a backdrop of bamboo. whereas the obverse features Hall of Prayer for Abundant Harvests in the Temple of Heaven in Beijing.